The club was founded in 1954 and membership continues to grow. a number of local charities and educational programs. 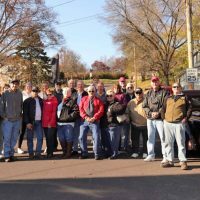 The Road Angels of Doylestown is a not for profit organization made up of enthusiasts whose goal is to raise funds for charitable purposes while promoting the sport of street rodding. The organization promotes family unity, good fellowship, sportsmanship, unity of purpose, good governance and safety in the sport. Our club, currently, has over 43 members. grounds of the Moravian Tile Works in Doylestown Pa.
Street Rods, Customs, Muscle Cars, Trucks, Antiques and Classics at least 30 years old are welcome.